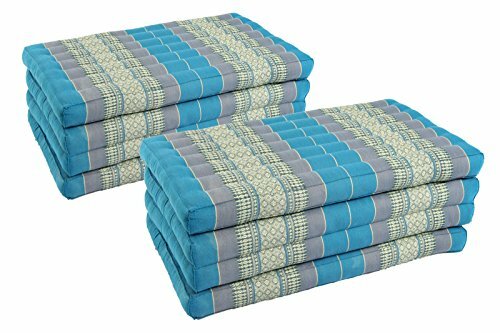 This pack includes two foldable matresses with a traditional Thai Design in light blues. All Handelsturm products have double stitched seams, and are stuffed with 100% Kapok for superior quality. Pack includes: 2x Mattress 4-fold: 79x32 inches, Skyblues. Best Quality only from Handelsturm!